Adrea Pavan. Picture © Stefan Heigl.Niall Kearney picked up €1,122 for his share of 34th as Andrea Pavan has won his third Challenge Tour title with a one stroke victory at the Bad Griesbach Challenge Tour by Hartl Resort. The 24 year old Italian finished on 19 under par after a 68 on Sunday to edge out compatriot Marco Crespi, who three putted the last hole for a bogey, having charged into a share of the lead with just two holes to go. “It feels great as it is tough to win, and you can’t control that,” said Pavan. “But today was a battle, I played very well, and I hit so many good putts, and to make that birdie on 17 was great with Marco making a move behind. Kearney have five birdies in a one under 71 to move up 11 spots in the Challenge Tour rankings to 121st. Cork’s Peter O’Keeffe signed off with a one over 73 to finish joint 57th and earn €570 which leaves him 152d in the standings. Poor finishes ended Ireland's hopes of a win in the Aegean Airlines Challenge Tour by Hartl Resort in Germany. Niall Kearney shot a secodn round 67 in Norway.Niall Kearney has a chance to make a much-needed move up the Challege Tour rankings after five under 67 left him seven off the pace at halfway stage of the Norwegian Challenge. Colm Moriarty in an archive image from 2009. Absence makes the heart grow fonder. Just ask Colm Moriarty, who is enjoying a stunning return to the Challenge Tour after a nine-month sabbatical. 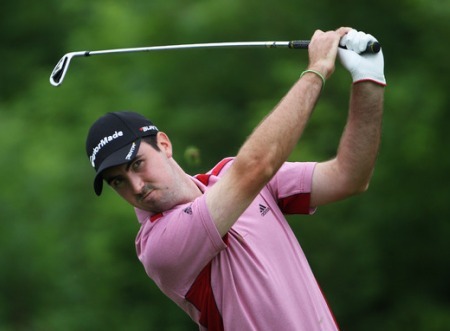 Peter O’Keeffe fired a joint best of the day 66 on the Challenge Tour in Bavaria on Friday. Peter O’Keeffe appears to be building up a head of steam after firing a joint best of the day 66 to go into the weekend just six shots off the pace in the Bad Griesbach Challenge Tour event in Germany. 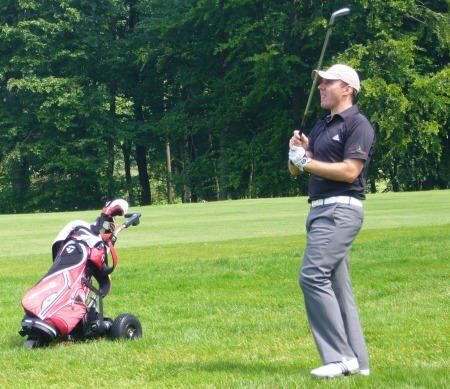 Andrea Pavan in action in the third round of the Bad Griesbach Challenge Tour by Hartl Resort. Picture © Getty ImagesIf you were wondering what a level par round gets you on the Challenge Tour these days, try a nine-place slide down the leaderboard.